The book is born and IT'S A GIRL! 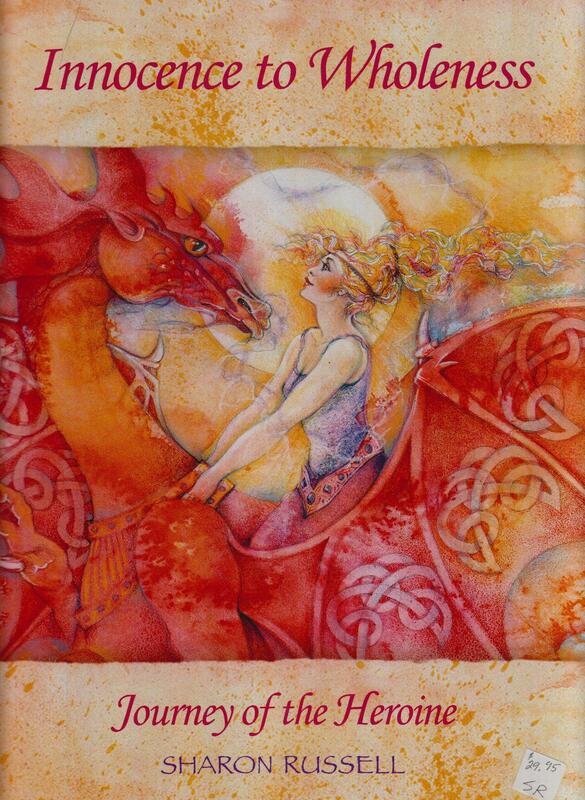 This beautiful book is portrayed by a series of colorful, archetypal images that will capture your soul. It will show you a way of gentleness and kindness with yourself as you take your journey toward wholeness, a lifelong process. 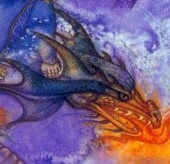 Innocence to Wholeness will help you discover the hidden aspects of yourself, the shadow which in this story is depicted by a Dragon. This lovingly told story will help you face your fears, connect with undiscovered gifts, and awaken to your soul's message. As you discover more of who you really are, you will gain a new understanding of the mythology of your own life. 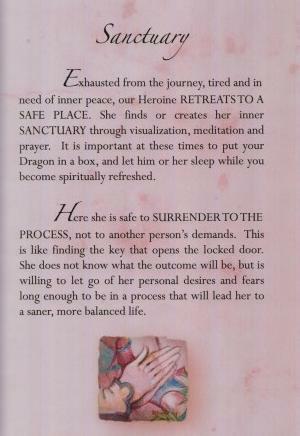 Ultimately, the heroine realizes that peace can be found by balancing her masculine and feminine energies. "Understand your SHADOW but don't be afraid. Sharon makes this journey a pleasure and a treasure for your Soul's sacred journey through life." 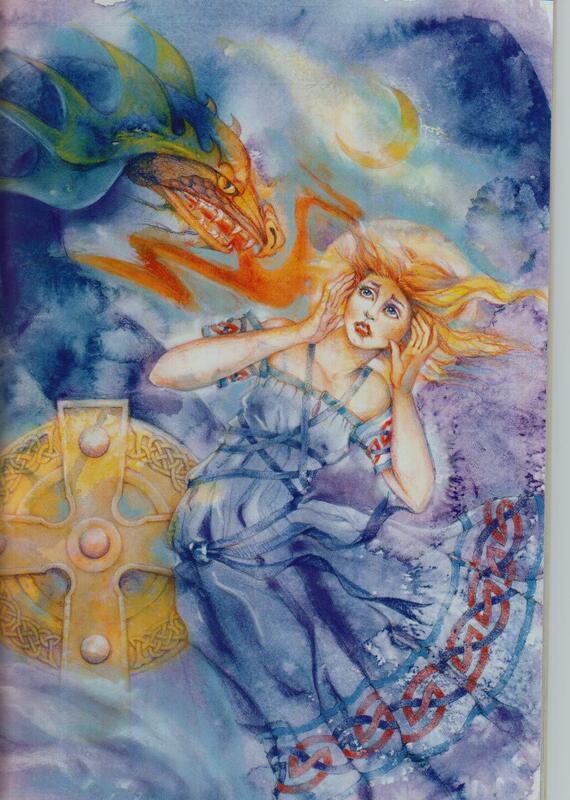 Sharon has completed her first book which has the markings of SCORPIO and the season of personal power through the making conscious of the Shadow within. This does not have to be a scarey concept. "Shadow" used to seem so awesome, so totally beyond my ability to change to me. In Jungian psychology everyone has a 'shadow'. Shadow concept is simply what is within that you are NOT conscious of. And what we are not conscious of controls us. Usually our 'shadow' is seen as bad and we want to disown it, but really we all have our negative behaviors! We are just usually the last to know when something we are doing is upsetting to others and making us 'act out'. 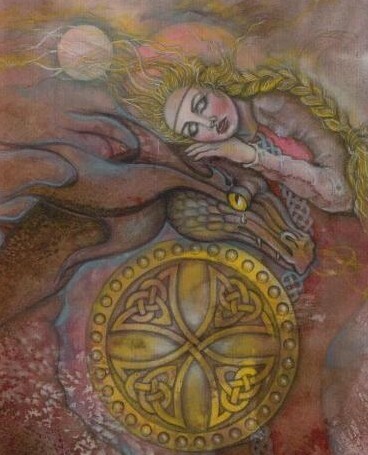 So here's what Sharon has done... About 7 years ago she began a series of watercolor paintings depicting a woman interacting with a DRAGON! "Why this dragon? ", she kept asking herself. So many things of great importance can come to us through our art or creative process and Sharon just kept right on painting until this mystery revealed itself to her. She discovered as she painted that she was feeling the fear of allowing herself to see herself as she really was. It was an intense and exciting process for her as she was facing different aspects of herself! 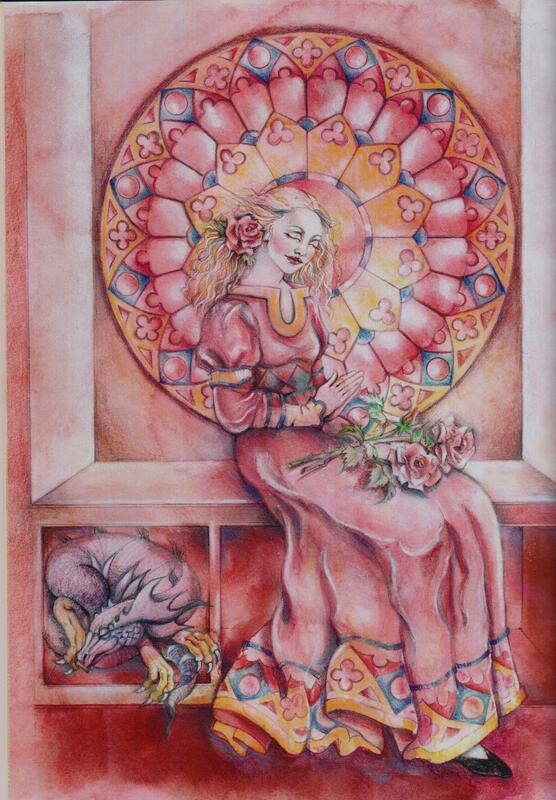 She eventually painted 12 AMAZING images of a woman in various stages of getting to know her inner self. And this is what her book is made of.....the dreams and images of the process WE ALL GO THROUGH as we uncover hidden aspects of ourself. 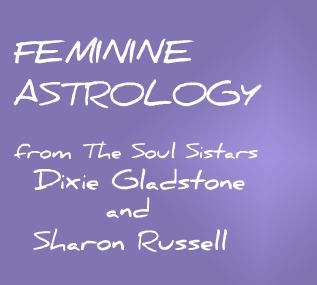 So even though her book is not about Astrology per se, it is all about the deep inner journey we take when we look at ourselves. And this is the message of the 8th house, the house of SCORPIO in your birth chart. If we look at our zodiac and its 12 signs as a series of developmental tasks, when we get to the 8th house we are ready to confront our shadow, to make a relationship with the psyche or soul within. In Scorpio we can look at our own Shadow, our unacknowledged parts and decide to do something about them. Scorpios are willing to look at the mystery of their own self as well as the Great Mysteries in the universe. A Scorpio's Soul is particularly adapted to life here on earth because Scorpios are survivors. They understand that there is a light and an underbelly to everything. They accept that and it does not detere them from living, in fact, they may be drawn in some magnetic way to that which is unseen in others. Scorpios are often drawn to others at a Soul level. That means they may have known them before, yes, even in another lifetime. 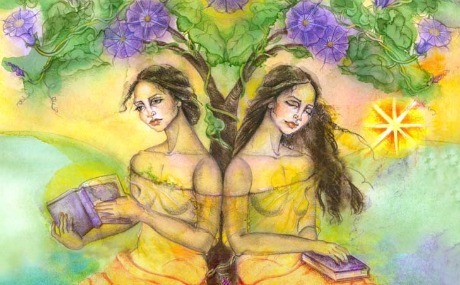 They remember other lives and are psychic about the lives of those close to them, even those not close to them. Their connections are deeply personal because of this psychic energy field around them. 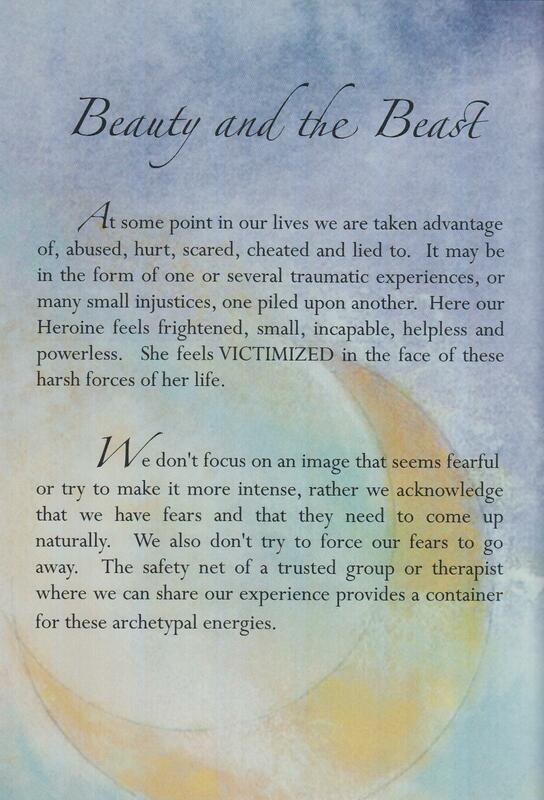 They draw out from others their deepest most intense side that is often in need of healing. 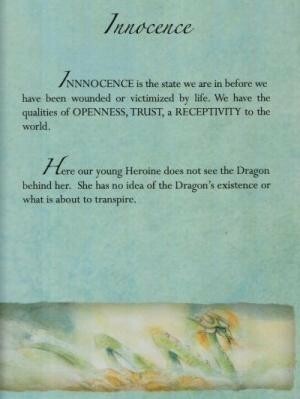 In Sharon's book, INNOCENCE TO WHOLENESS, you will be guided through the steps of the process in which Scorpio energy can transform your life. We finally got hooked up to paypal - or any other credit card you might want to use. 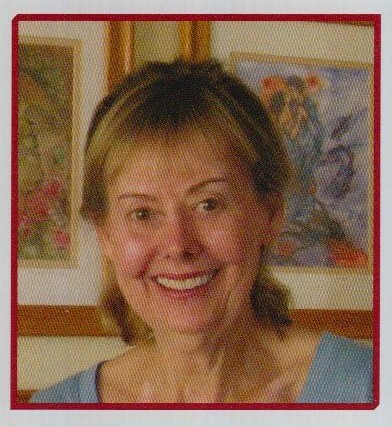 Just go to LETS SHOP to see any of Sharon Russell's art work ..... read in ABOUT US to learn more about my sister Sharon! 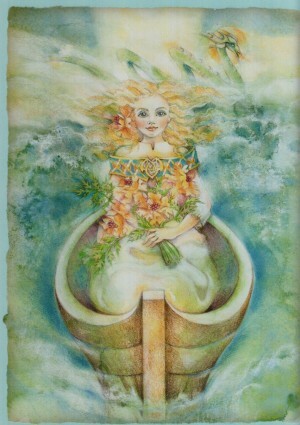 This one is called "COMPASSION" and follows her journey to the place where we make friends with and forgive ourselves. Doesn't this image just make you want to FEEL that COMFORT of making friends with yourself at a very profound level?